Esperanza is annually rated as one of the three best resorts in Los Cabos, one of the ten best in Mexico and one of the 100 best in the world. The luxury property is perched on the bluffs of Punta Ballena, just outside Cabo San Lucas, with 153 casitas, villas and private residences overlooking the spectacular blue waters of the Sea of Cortez. In addition to its expansive accommodations and lavish amenities, Esperanza boasts its own boutique art gallery, a creative and ever-changing menu of resort programs and special events, delicious dining options that range from Baja Mediterranean to casual American-style cuisine, as well as the top-ranked spa in all of Latin America. 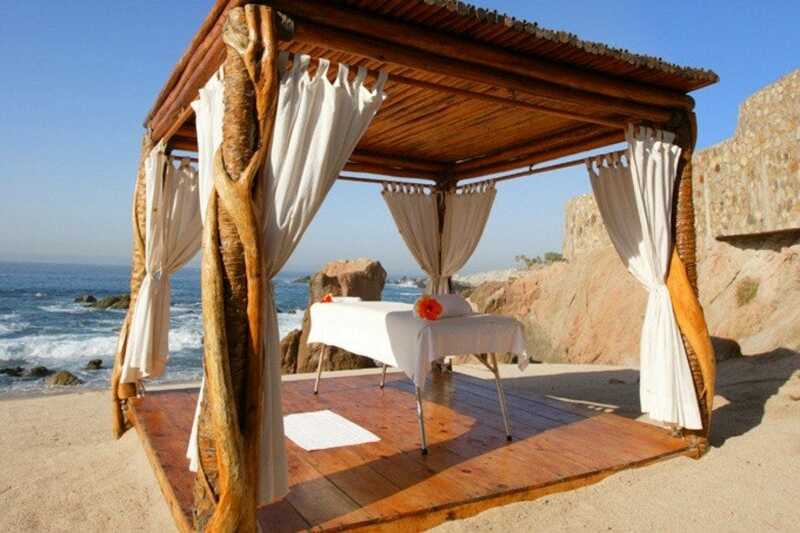 The award-winning Spa at Esperanza is one of the resort's most popular features, particularly the pampering couples treatments such as Pasion de la Noche and The Shared Hearts Massage. The spa also offers a full range of massages, facials, manicures, pedicures and other beauty services, as well as a steam cave, soaking tubs and a movement studio with yoga and pilates. From October 2012 through Spring 2013, the spa and fitness center are featuring a "Trainer in Residence" program, with a variety of classes and training sessions from well-known U.S. based instructors and expanded yoga classes for both adults and children.